The objective of the project "Digital Literacy 2.0" (DLit 2.0) is to empower socially and educationally disadvantaged adults in Europe to participate in society more strongly by actively and autonomously using web 2.0 applications for their individual purposes. make their target group acquainted with the opportunities provided by the internet and web 2.0 in their daily work. 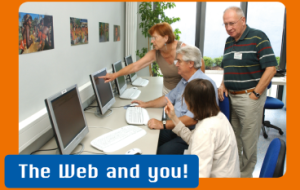 approach their target group with the help of eligible web applications (e.g. social networks, civic participation, job opportunities). supplement their own and their organisation’s portfolio with special offers for imparting media literacy. In the second step the modular DLit 2.0 curriculum - tailored to the respective country, institution and clientele - is applied by the multipliers to convey web 2.0 skills to their target groups. At the final conference on 22 January 2014 in Berlin at Hotel Aquino participants gained an insight into the contents of the training and learned in which ways and to which results the different organisations and countries had implemented the training campaign. Participants had further the opportunity of discussing and putting to the test how the training material - which will be available as open educational resource after the project’s run - could be applied in different educational contexts, such as staff trainings at public libraries. Moreover, the implementation of the campaign in further European countries not covered by the partner consortium was initiated at the conference. Representatives of the social work, library and adult education sectors who are interested in extending their portfolio to include ICT qualification measures were therefore explicitly invited. The participation in the conference was free of charge.